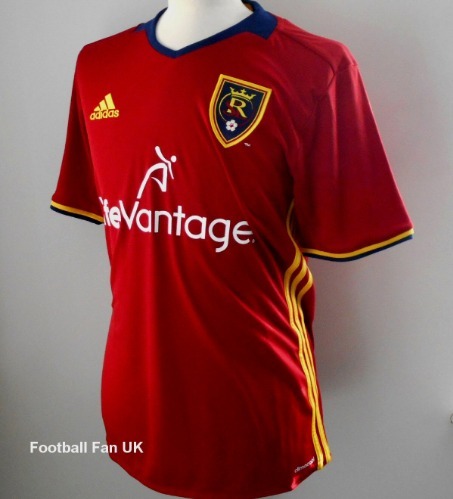 This is the official licensed men's soccer jersey worn by MLS club Real Salt Lake. It is an official Adidas product, new with tags. - Dark red with blue and yellow trim. - Adidas product code AB9616.